We have a large number of new-in-the-box pedal tractors for sale. They were made by the well-known manufacturers Ertl and Scale Models. If you are looking for information on how to restore your older pedal tractor, we have a page with pictures and information on most older pedal tractors. They are listed by brand. S.S. Wilson's new novel released Nov 13, 2013. S.S. Wilson has just posted a new short story called "Minecraft ". Check it our by clicking the stories & articles link to the left.... enjoy. 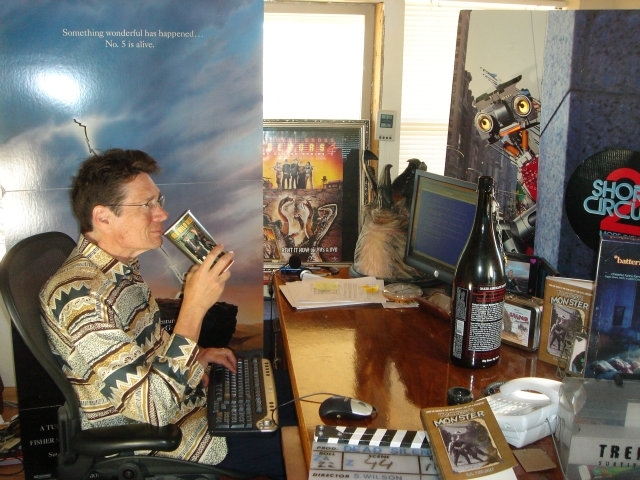 With partner Brent Maddock S. S. Wilson’s screenplays include Short Circuit, Short Circuit 2, Heart and Souls and The Wild Wild West. At Spielberg’s Amblin they wrote Batteries Not Included and consulted on Land Before Time. 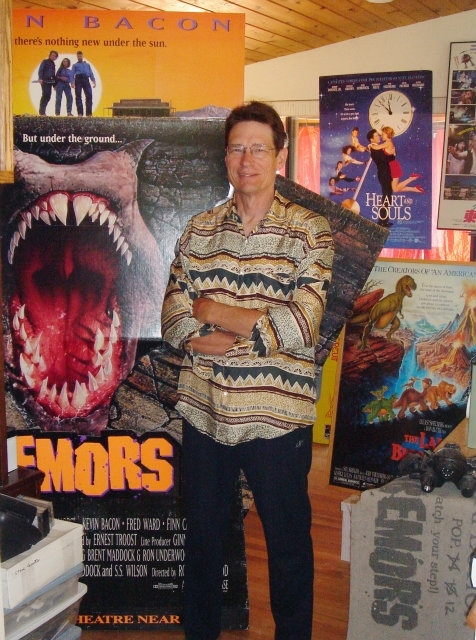 They created the Tremors franchise; Wilson directed Tremors 2 and Tremors 4. Entertaining for ages 12 and up. In his first novel, veteran screenwriter S. S. Wilson (Tremors, Short Circuit, The Wild Wild West) offers up a rollicking adventure in which wide-eyed Whitney learns about werewolves, mummies, ghosts, and even meets a mad scientist. On a more subtle level, Wilson also pokes ample fun at classic horror movie clichés as he careens toward an unexpected (and Hollywood sized) climax. Hard Cover books available wholesale from Ingram, soft cover books available from Real Deal Productions. In this rip-roaring portrait of a man with the money, recklessness, and the tenacity to pursue his single-minded goal of discovering a live dinosaur in the year 1903, mild-mannered scientist Gerard Whitney answers a job ad only to find himself working for wealthy eccentric Harold B. Tucker on his Oklahoma ranch. Most days, Whitney is free to work on his scientific classifications, but when Tucker receives reports of hauntings, monster sightings, or other unexplained activity, Whitney must accompany him on his investigations. Sparing no expense, Tucker, his helpers, and his vast collection of firearms travel to Louisiana, Vermont, and ultimately to Venezuela, and neither Whitney nor Jenny, the Cherokee woman who is Tucker's wife and dinosaur-hunting partner, can persuade him out of threatening and bullying locals and even devastating ecosystems in pursuit of his impossible quarry. That both Tucker's companions and the novel's readers are inclined to forgive the manipulative, volatile dinosaur hunter is a testament to the author's character building. For all his gruffness and his power, Tucker is a man compelled by a tragically unrealizeable dream, and the pathos of his situation is clear. Tense action scenes, including a particularly memorable haunted house, keep the pace moving at a brisk clip. A heartfelt and well-realized tall tale. S.S. Wilson is busily working on finishing his second novel. Hope he does not get too distracted by all the fun stuff in his office. presents three dvd's on pedal tractors. Volume 1 covers John Deere and Allis Chalmers. Volume 3 covers Ford, Oliver, Massey Harris - Massey Ferguson, Minneapolis Moline and many misc pedal tractors. Each dvd includes a chapter for each pedal tractor so you can easily jump the the one you are interested in seeing. A great resource for pedal restoriation. See the Books and Dvd tab for more detailed information. The dvd was made from the svhs master from 1994.